Last year seminal industrial collective Test Dept, known as much for their political commitment and sense of ambition as their innovative and influential music, ended a lengthy hiatus by staging a unique event in the north east as part of AV Festival’s 2014 programme. The event – DS30 – took place at Dunston Staiths on the Tyne and was a multi-media event that commemorated the 30th anniversary of the miners strike (something that played a big part in focusing Test Dept’s political ideals). The event was universally lauded as an incredibly powerful piece of work. This year, Test Dept are touring the UK screening a movie of the event, something they’re bringing to the Tyneside Cinema on Thursday 18th June. I caught up with Paul Jamrozy and Graham Cunnington in Leeds, where they were screening the movie that night, to ask a little about the movie, its inception, and what happens next. Did you plan on making the film before the event or did that come later? Paul: No, the film was made as a commission for AV Festival, although we had been deep mining our own archive and were digitising all our old UMatic video tapes for future use. The timing of the event and the nature of the environment we chose to work in at Dunston Staiths made it natural that we should use the material from the Test Dept Fuel to Fight, Support the Miners’ Strike in 1984. There was a lot of very positive feedback but also a very emotional response; on one of the boats half the people were crying on the return boat journey. It was very disappointing for everybody when the last boat journey was cancelled due to the irony of a technical failure on the Millennium Bridge. We had considered shifting it to the Tyneside Cinema then, as we tried everything in an attempt to salvage the situation but screening it now feels like a better outcome with additional films from our archive, the Test Dept Total State Machine book launch and a TD DJ after event in the café. And how was the film put together? Was it just a superhuman feat of editing? Paul: There was a lot of research done in the North East in local archives and great support from artists, scholars and ex miners alike. The editing was pretty frantic, as we had a very short time to pull it all together, but I think that gave it a sense of energy and urgency and helped retain the raw power that was ignited during the Miners’ Strike. Aside from the tour you’re doing now, will the movie get any more cinema or festival screenings, and is the idea to release it on DVD at some point? Paul: We have secured the permissions and rights of all the archives and people who contributed to the work for future screenings but not for a release as a DVD, so there are no plans to do that. Hopefully the word will spread and it will continue to be shown in venues around the country and beyond. We feel it is important that this piece of our heritage and history is kept alive for future generations to see that it is important to stand up for what you believe in, not as nostalgia, but as an inspiration to stand strong and remain united in common cause. You’re going to be DJing at the Tyneside Bar after the screening. Is this something you’re hoping to do at all the screenings? And what should we expect? Will it be focussed on Test Dept releases or just whatever you fancy at the time, or some point in between? Gray: We are doing it at a few of the other events. Others don’t have the capacity or space for it and Doc/Fest in Sheffield had those festival restrictions, though it was great to do and we had a fantastic reaction there. We will be playing a mixture of material – from the Test Dept archive to influential sounds and some atmospheric and other harder new industrial leaning tunes – and mixing in some recorded sound and vocal material relevant to the screening. The movie is getting screened, the hefty book (Total State Machine) is now available, but should we expect anything new from TD in the near future? Gray: We are due to re-release Shoulder to Shoulder [the Test Dept collaboration with a miners choir first released in 1984] on vinyl and CD next month and have a record and book launch in Rough Trade London on Thursday 16th July. This will be followed by other re-releases later in the year. We will also be working on a new Test Dept: Redux show for November; that’s a smaller scale electronic set-up with live drums and visuals. There are no current plans for a new Test Dept album this year but later on… You never know. And finally – given your political engagement and activism [amongst other things Gray Cunnington is heavily involved in the campaign to secure a living wage for the employees of the Ritzy Cinema in Brixton where he works], has the recent election sapped your energy and drive or made you more determined than ever to organise and resist? Gray: It was an extremely depressing result but you have to carry on. The need is there now more than ever. Test Dept will continue to produce new work engaging with the current political climate. In my other work, we have developed from Ritzy Living Wage a new non-profit organisation, Living Staff Living Wage, to carry on the fight for a living wage for low paid workers, especially in the Arts and Entertainment industries. Test Dept DS30 screens at the Tyneside Cinema on Thursday 18th June. 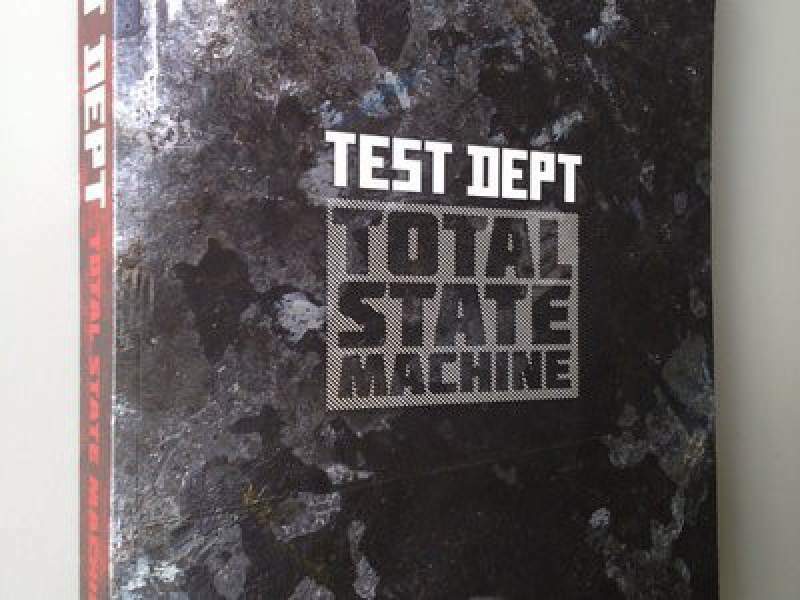 Find out more about Test Dept on their official website. Learn more about the tour on the AV Festival website.